SCS will be celebrating National Chemistry Week this year from 12 to 16 October 2015. 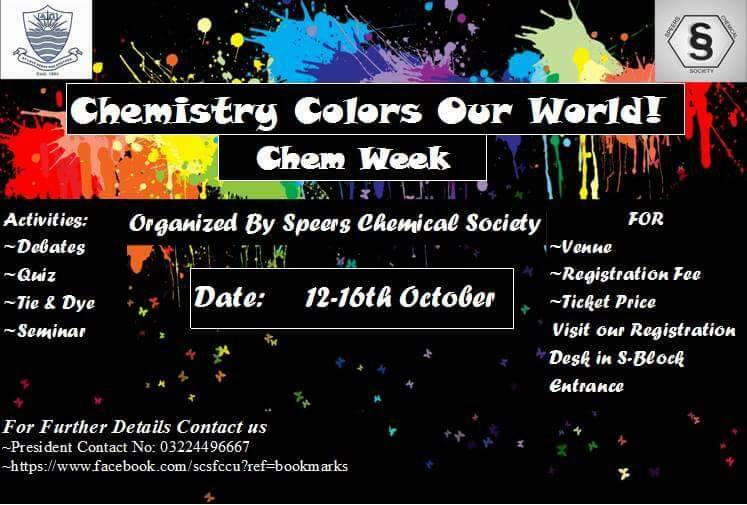 The theme for this year’s chemistry celebration is Chemistry Colors Our World. In accordance to this theme, we have kept short fun activities including debates, quizzes and tie & dye in collaboration with IAS. Certificates will be given to all participants. Registration opens on Monday 05 October 2015 for all students. Please visit our registration desk at S block entrance to register for the event.